Contact Us to submit any John's Landing news tips. Starting October 31st composting in Portland goes city wide. 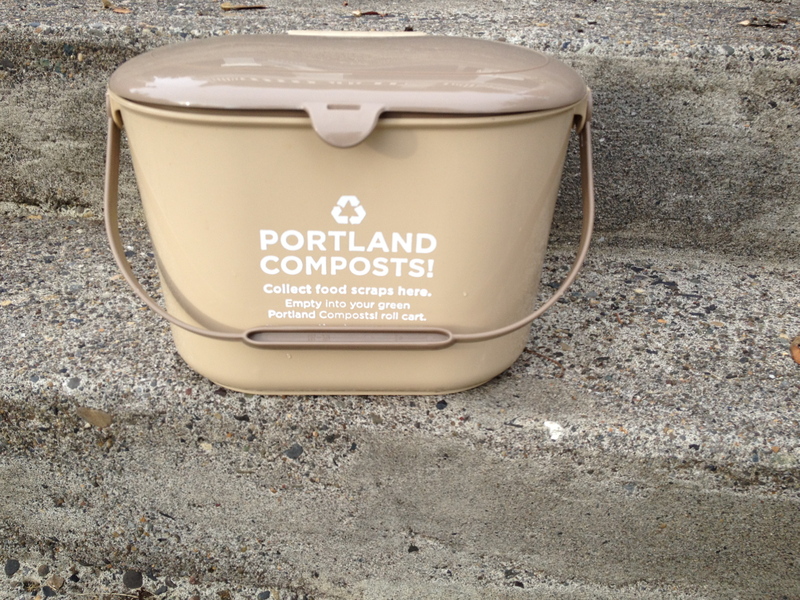 As you may remember, Portland has been piloting the composting service over the past year. The city has found the system works, they specifically found "Food scraps account for almost 30,000 tons of garbage in Portland every year", the Portlandcomposts.com website says. The biggest change, your garbage container will no longer be picked up weekly, but rather every other week. If residents use the composting bins correctly this shouldn't be a problem adjusting to. 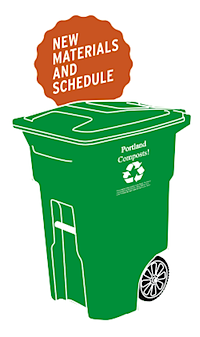 The Blue Portland Recycle bins and Green Portland Compost Roll Carts will be collected weekly. And don't forget, you may include pizza boxes in the Green bins now. Within the new green bins; include all food scraps, your yard debris, meat, bones, dairy, grains, cooked foods, and pizza boxes (yay!). Each household can be assigned a small Kitchen pail (photo above), use this in your kitchen, filling it with food scraps (and pizza boxes, if you can fit them) once the beast is full empty the bin outside into your green rolling cart (the large one). I happened to be walking in John's Landing this morning and spotted the kitchen pails at people's curbsides, they're actually really neat (cute, you could say), so incorporating them with your kitchen's design scheme shouldn't be hard.